It is hard to find anyone who plays poker, whether professionally or as an amateur, who hasn’t heard the name Daniel Cates. Daniel ‘Jungleman’ Cates, is one of the rare poker players who came up through the online poker ranks and was able to conquer the live tournament circuit as well. With over $3 million in live tournament winnings and over $10 million online, Cates is truly one of poker’s elite. One might think his nickname came from the online world, but actually it came while playing live games. He had long hair and admitted to being pretty hairy with a resemblance to Tarzan. The other players started to call him Jungleman, and it sort of stuck. Not being into sports or hanging out with friends, Cates spent most of his high school years playing video games. This time spent playing changed how he thought about games and eventually helped him develop his methods for improving his poker skills. Interestingly enough, though, he didn’t begin his poker career online and instead began playing in local live games. Initially the games were pretty easy for him, so he went in search of games where the players were better and the games were more challenging. However, he didn’t do as well against the better players, which motivated him to start practicing, reading books and spending time improving his game. He knew if he kept playing, he would eventually find a way to become a winning player. 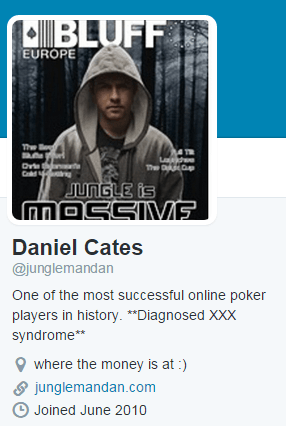 Cates began his online career in November of 2008 and started playing low stakes Sit and Gos. He realized online poker could be more profitable while also allowing him to get better at the game. But, he wasn’t moving up in the stakes as quickly as he hoped. It wasn’t until May of 2009 when he had his first significant score of $5,000 after winning a small buy-in tournament. Then, with a bankroll to work with, he decided to make the move to heads-up cash games. Cates transitioned easily to Heads-up No-Limit Hold’em. He made consistent money while attending college, and, just like in high school, Cates pretty much kept to himself. His life was school and poker. But, that wouldn’t last for long. After failing a class he needed to graduate, Cates made the decision to leave college in his junior year to focus on poker full time. That year he made a reported $5 million, and after a year of playing practically non-stop, Cates was regarded as one of the best online heads-up players in the world. The transition from low to high stakes in such a short time is a testament to his work ethic, his focus on improving his game and his natural ability. For many people, $5 million is life-changing money, but to Cates and many other poker players, money is just a way of keeping score. 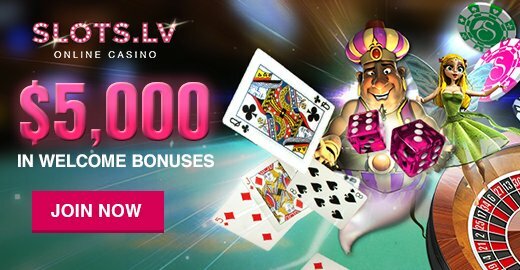 While the competitive nature of any successful poker player pushes them to win at all costs, it is unknown whether there is a true understanding of the value of money among the young players that have come up through the online ranks. With his new-found success, Cates found himself a reluctant member of a small club of highly-successful online poker personalities. With his new status came new friends and a new lifestyle. Fame and fortune attract people claiming to be friends, and Cates has admitted to making mistakes in the early days of success by being too trusting and not really grasping the business side of poker. As he has matured into his mid-twenties, Cates has surrounded himself with people he trusts, continues to work on his game and sets aggressive goals both in poker and in life. He is working to bring more balance into his to life by spending more time as Daniel and less as Jungleman. No matter what you call him, though, he is truly living the life many poker players dream about.